GEOLOGIC JOURNEY II will change the way your students look at the world. In each episode, we dive straight into the Earth's mysterious geologic processes - and explore both science and legend as we seek to understand and explain the geologic forces that shape our world, and our lives. With Dr. Nick Eyles of the University of Toronto Scarborough as our guide, this five-part documentary series reveals the Earth's magnificent power and its breathtaking beauty. GEOLOGIC JOURNEY II takes us to some of our planet's most dangerous and dynamic places, and helps explain how they got that way. 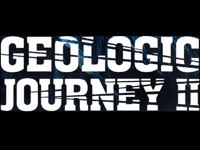 From some of the highest mountaintops to the lowest salt plains, and from the center of violent volcanoes to the deep trenches beneath the ocean floor, GEOLOGIC JOURNEY II travels with some of the world's most outstanding geologists as they decipher the mysteries of the earth's evolution. Combining stunning HD pictures and beautiful aerial photography, this series captures a world being torn apart by the very plates that connect it. Tectonic Europe - Examines the Earth's surface under pressure, from Iceland to the Alps, landscapes that inspired scientists to invent the study of geology. Along The African Rift - Examines the East African Rift, Ethiopia's Afar Triangle, the Nile Valley and the Dead Sea Rift, places where the Earth's crust is ripping apart as molten rock pushes upwards. The Pacific Rim: Americas - From the glaciers of Alaska to the Andes of Chile, the relentless subterranean forces that formed the eastern Pacific Rim have convulsed our cities and overshadow our future. The Western Pacific Rim - Examines the western Pacific Rim, home to 50% of the world's active volcanoes, and 90% of its earthquakes. The Collision Zone: Asia - Examines the collision zone in Asia--from Indonesia's volcanoes at one end to the Himalayas at the other--which is in the process of forming the earth's next supercontinent. "The science is excellent and current, the storyline is engaging, and the cinematography is nothing short of breathtaking. Although I have taught this material for years, there was information in the video new to me and archive footage that I had never seen before. [Along the African Rift] vividly illustrates the dramatic processes of continental rifting and the birth of new oceans...[The Pacific Rim: Americas] explores in spectacular fashion the destructive forces of plate tectonics." "The photography is breathtaking and the science content is accurate...get ready to be amazed." "Insightful...Eyles is an energetic host...Picture and sound quality are top notch, vividly capturing the exotic locations...[Along the African Rift] does a great job of showcasing real-world examples of a geological theory that is sometimes difficult to explain." "This is where fire meets ice, from New Zealand to Japan. The Western Pacific Rim features stunning vistas, wrenching human narratives, and recent and historic footage of the activity of volcanoes and glaciers...This is an engaging geo travelog that is suitable for nature enthusiasts and as well as a platform for beginning geology students. Use the film as a regional vignette or watch a full length thematic narrative that highlights volcanic processes and their past and recent impact on humans along the Pacific's western rim." "The Western Pacific Rim and The Pacific Rim: Americas are excellent for civics and history classes. Throughout history, individuals and society have lived with natural hazards to garner natural resources. The modern construct of plate tectonics rationally explains the occurrence of earthquakes, tsunamis, and volcanoes on the Pacific Rim along with mineral and agricultural bounty, access to the ocean, and picturesque scenery. The interviews in the series clearly illustrate how informed people address this trade-off. Both titles in the series can spark excellent discussion about the hazards and benefits of living along active plate boundaries." "Clear and accessible...The field locations [In The Pacific Rim: Americas] viewed from air and during field visits provide wonderful illustrations of underlying geologic dynamics, aided by historic footage of past earthquake effects. The few simple animated graphics interspersed with the film material help with explaining concepts that words and field geology can't quite bring across on their own. The film succeeds in bringing across the wide range of relevant scales of time and space of geology."